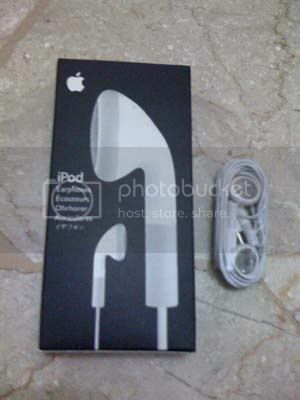 -100% Original Apple Earphone , Brand New. Control music and video playback . including play/pause and next/previous . 1C. 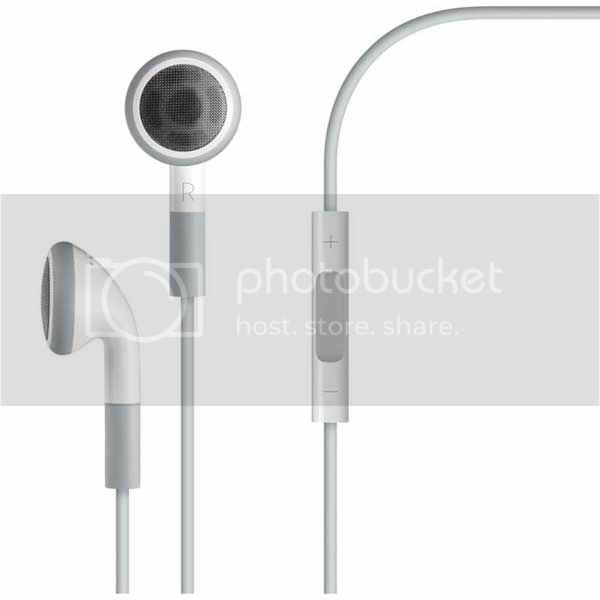 100% Brand new original iPod earphone. * 100% Brand New GENUINE! Original! 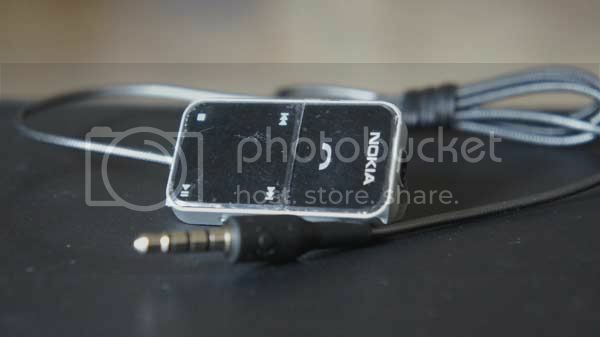 * Compatible with Nokia 5220,5310,5320 Xpressmusic,5610,5630,5700 Xpressmusic,5800,6110,6121,6290,6681,6800,6810,682 0,N76, N78,N79, N81, N82,,N83,N85, N86,N95, N95(8GB), N96,N97,E75,E90 etc(3.5 plug). Control music and video playback  including play/pause and next/previous  by pressing the center button. Control music playback, pause music, forward to the next song. you can use this adapter cable connect your iphone ipod ipad to the headset or the car or the speaker (which the jack is 3.5mm) to listen music. Get easy access to a dock connector port for syncing or charging, and an audio line out port for connecting to powered speakers via an optional audio cable. 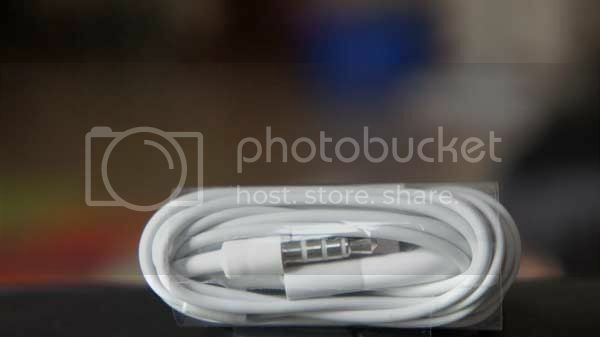 Enjoy your music from your iPhone using a stereo audio cable to connect the dock to a stereo or speakers. 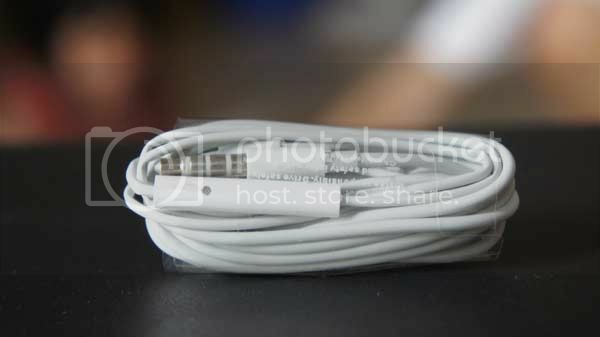 This cable connects your iPod shuffle (3rd and 4th generation) to your computers USB port for syncing and battery charging. 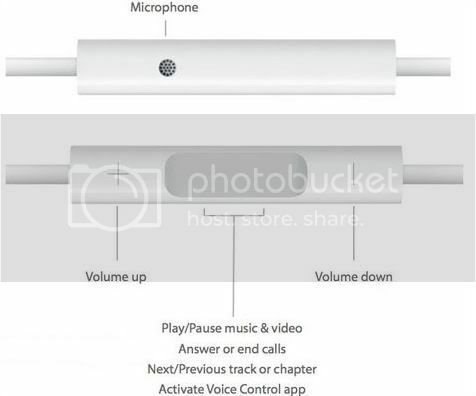 It also connects to the Apple USB Power Adapter for convenient charging from a wall socket. Compatible with iPod shuffle (3rd and 4th generation). 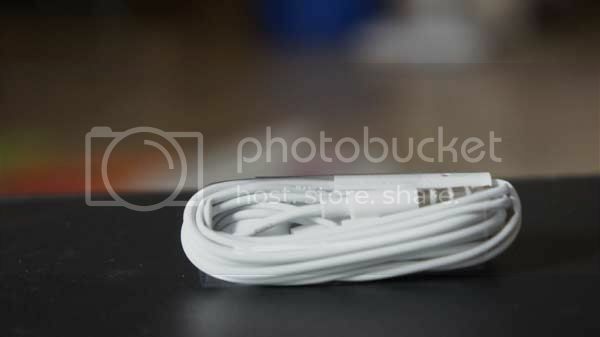 This adapter Cable lets you connect devices with a Lightning connector to many of your 30-pin accessories. Supports syncing and charging. Video output not supported. 100% Completely authentic or your money back, no questions asked! About 6 -foot cable makes it easy to connect your iPhone or iPad to your computer to sync music and videos to your device. Add it to your own USB port-equipped wall or car charger, and you can charge your device anywhere. 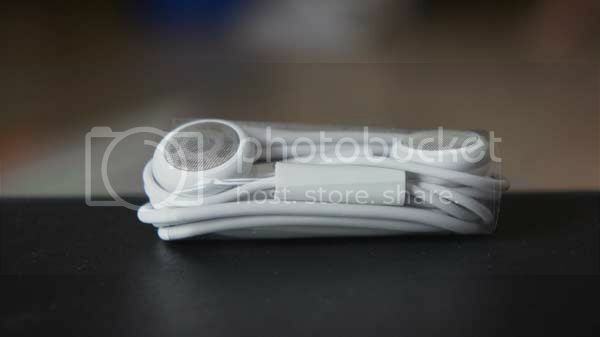 Use the MiXiT UP Charge/Sync Cable as a replacement for a lost cable or as a convenient extra. The Lightning connector is reversible, making it easy to plug into your device. The low-profile cable is compact, so it fits even in small pockets and bags. 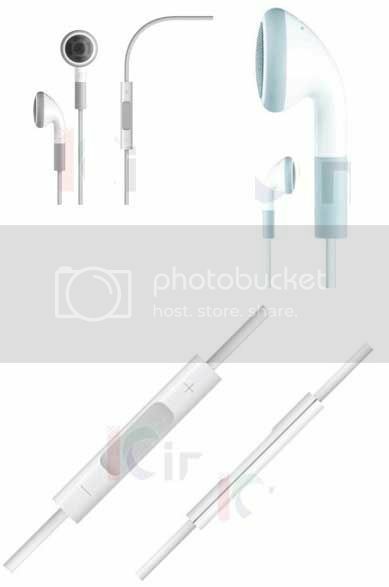 The cable's Lightning connector makes it simple to charge a variety of portable Apple devices. This cable can charge and sync the iPhone 5, iPad mini, iPad (4th generation), iPod touch (5th generation), and iPod nano (7th generation). Compatible with both lightning USB cable or wall charger (both not included in this listing). Compatibility: iPhone 5 5G 6th. yg ini bisa buat itouch bos? The Chill Pill is compatible with most devices that have a standard 1/8" headphone port, including iPods and other digital audio players, laptop and desktop computers, CD players, and iPhone 3G (original iPhone with adapter). With big sound and a rugged, compact case, the Chill Pill will become an essential part of your digital traveling kit. The Chill Pill also looks and sounds great attached to a laptop or desktop computer. 2. It is used to repair replace your wrong,damaged,kracked,not recognised touch digitizer panel. Brand New switch button(on/off button) for cell phone. 1. 100% Brand new Original battery for the Apple iPhone 3G. 2. Rechargeable Lithium Ion Battery,3.7V. 3. Is your iPhone battery dying faster than normal? This is what you need! 4. Your smart Iphone deserves to powered by a quality battery like this one. Compact and flexible designed for easy use. One 3.5mm stereo male plug connects to your ipod jack, the other two 3.5mm stereo female plug connect to other two different earphones. Compatible with all iPod and iPhone models. Also work with all MP3 and portable DVD players. The Mini DVI to VGA cable dap at menghubungkan macbook and a dengan VGA device dengan tambahan VGA cable,higly quality. · Exercise your right to a great soundtrack with this ultimate workout duo: an iPhone / iPod Touch SportBand with Case. · This durable, lightweight armband case keeps your iPod secure and protected. · Unique design allows easy access to all functions without having to remove the skin. · Multiple layers of padding offer the best in protection. · Adjustable Velcro Armband gives you the versatility of carrying your iPod in a variety of ways. · You can run, ride, lift and more without missing a second of your favorite tunes. 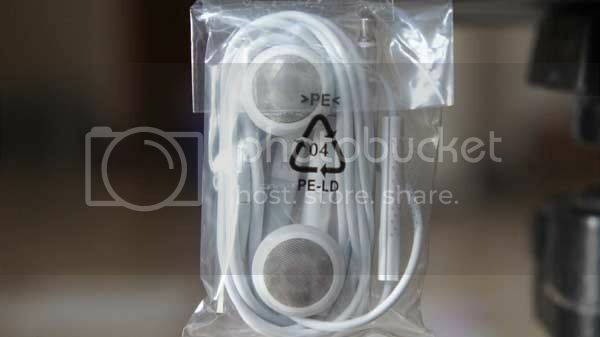 100% Brand NEW Mini Speaker For Ipod Iphone 3G 3GS . Do not need to install software and batteries, with plug and pla technology. 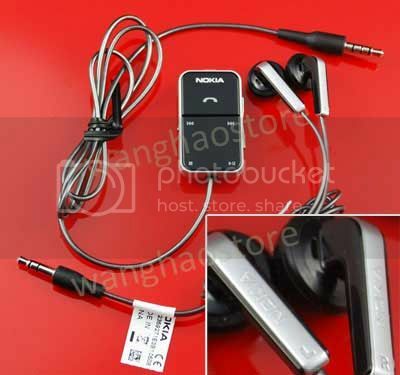 It's compatible with the mobile phone and PDA charger which acords with the standard. 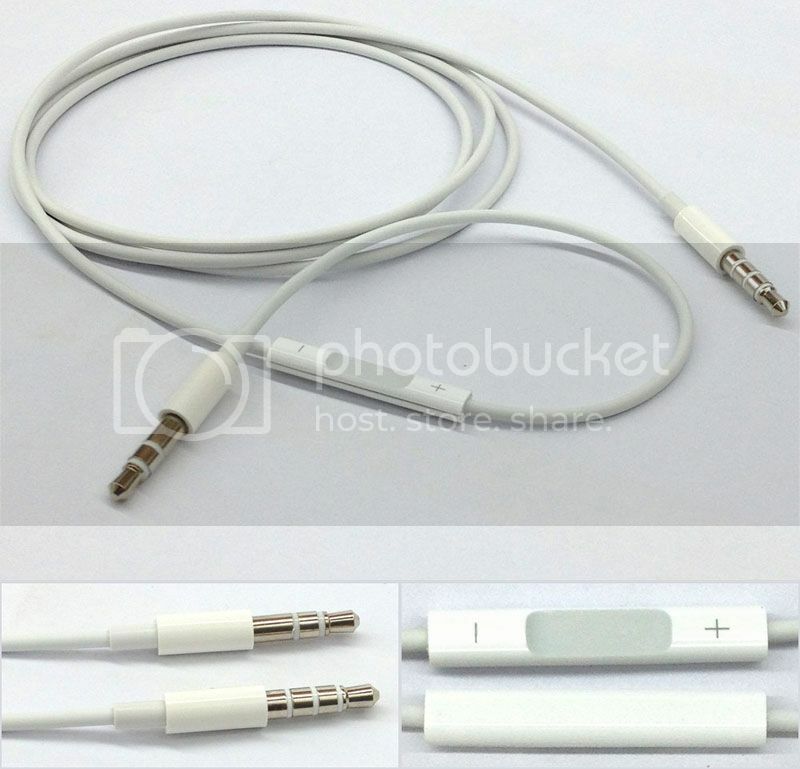 By using a standard Mini USB data cable, connect to computer or standard power adapter or apple USB power adapter for ipod charger. With 3.5mm jack directly connecting it to the 3.5mm input socket on your car stereo, home Hi-Fi, DAB radio or amplifier. Many vehicles are now equipped with a direct AUX input. With This cable, you can listen to your IPOD via your vehicle. Direct Plug and Play. ga ada accesoris ipod classic yah? New high quality AV cable comes with a built-in USB charger cable. 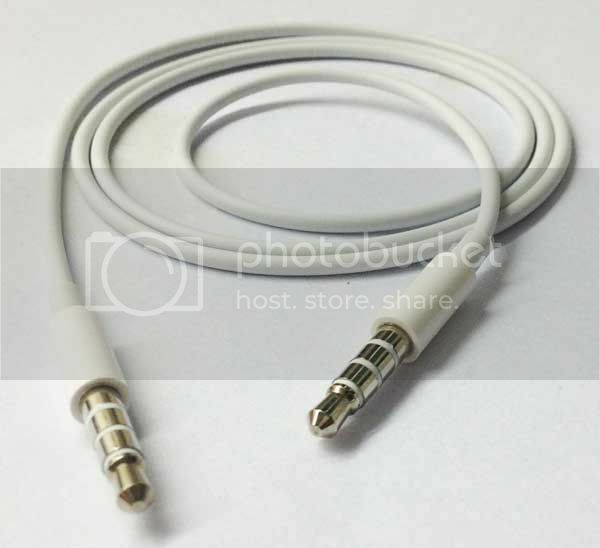 High quality connector for playing your Apple divice videos/graphicas in large screen projectors, such as computer(LCD,CRT), TV or any USB port. Brand new, comes straight from the factory. Nintendo's Wii MotionPlus accessory for the revolutionary Wii Remote controller again redefines game control, by more quickly and accurately reflecting motions in a 3-D space. Wii MotionPlus must be used with a Wii Remote + wrist strap, which is sold separately. Charge and sync your iPad with this dock. Your iPad sits upright in the dock as it syncs or charges, so its perfect for a desk or countertop. Connect the dock to your computer with the USB cable included with your iPad to sync iPad. Connect the dock to an electrical outlet using the iPad 10W USB Power Adapter (included with your iPad) to charge the iPad battery. -Bluetooth specification V2.0 & 1.2 compliant. -Operation system: Window98,98se,Me,2000,XP,Vista and Suppoert Windows 7. Stay in style with this crystal hard case. The GoPano micro is a lens for the iPhone 4 and 4S that enables you to create 360° panoramic videos. Just snap the lens to your iPhone and tap record to make cool interactive 360° videos instantly. 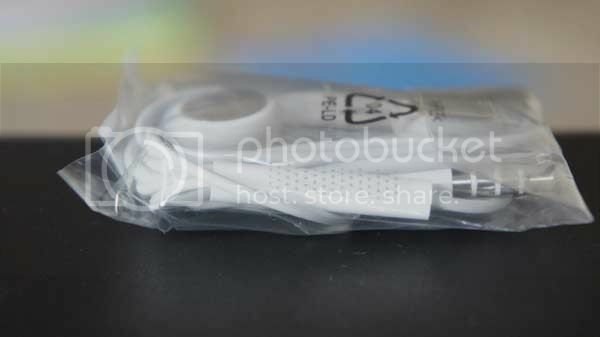 produk standard sony hanya menyediakan 1 fungsi saja, yaitu wall charger. jadi produk ini sangat bermanfaat saat battery kita habis saat di perjalanan, bisa langsung charge dengan car lighter. -Horusbennu half case is designed to fit Nex-3 camera exclusively with the sample exterior. -The sturdy stitchs make the case look more sophisticated,combining a classical feelings to the design. -The interior of the case is made of Swede texture,which can protect the camera from scratches. -The case fits NEX-3 Camera perfectly,making it more easier to ues the camera,while you are using the case with it. -There was a problem when installing a tripod/head to Nex-3 camera,due to the unique bottom design.However it becomes possible to install any tripod/head with Nex-3 Camera,when using Half-case,which is designed to fit well the extra gears. 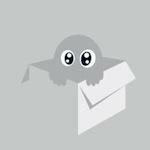 -In case of using the brand-new half case,the case may get loose little bit. In this case,please push the lens & grip part of the case softly for several times and then it fits camera perfectly.Be careful not touch the water. 63. Remote Control for SONY SLT-A55 NEX-5 A33 A290 A850 ? It has been proved to be safe and reliable with the multi-brand cameras (see more details in the picture above), and works with all camera remote control modes (Quick-response, Delayed and Bulb). Works from up to 8 meter (25 feet) away. 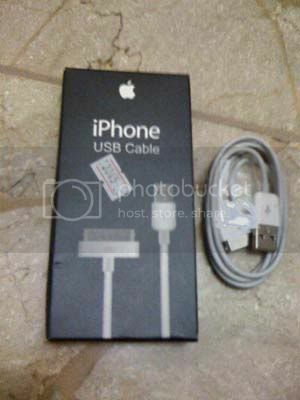 mo nanya.. Kalo Item #4, Iphone 3G/3GS Car Holder, bisa u/ iTouch juga...? yang nie bsa wat chromatic ngga gan?? CAM-in is our own creative brand. Our aim is : Most Excellent Workmanship,Best Material, but Lowest Price. Get rid of using the original strap same with each other in both style and form,do not hesitate to start with a proper strap for your camera. It almost fits for all of cameras. The real item is almost same with picture show, and there is slightly different from each batch of goods. Brand new, never used . Introduction: Although the lens will fit physically, automatic diaphragm, auto-focusing, or any other functions will not operate correctly while using this adapter. In this case "stop-down mode" will need to be used when metering since the lens does not have the ability to have its aperture controlled by the camera body. 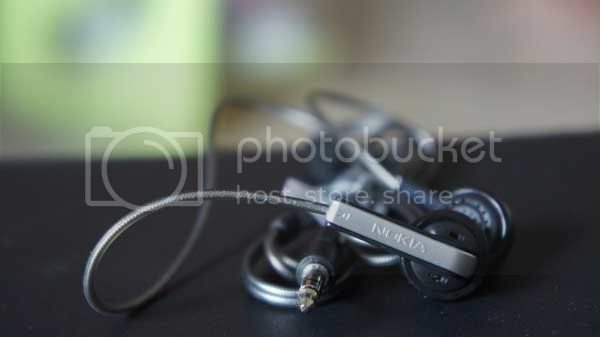 You can shoot with manual mode or aperture priority mode with Sony NEX body. focusing to Infinity . Transforms your video enabled DSLR into a handheld video camera thanks to the 2.8x magnification of your camera's 3.0" LCD. Magnetic attachment allows for easy on & off, making it ideal for photographers and videographers. A vintage style of the classical envelope design, the Metropolitan Slim Envelope is designed with style and protection in mind. Its flap uses eyelet closure to securely keep your 13 Apple Macbook Air or Macbook Pro in place. Stay relaxed knowing your Apple MBA or MBP is well protected, no matter where you take it! Ada 2 ukuran 11.6" dan 13"
1.100% Nillkin Brand New in retail box. * Complete Edge Protection with thickly four corner prevent getting impact easily. * Silicone case is built and designed to fit phone perfectly. * All opening, buttons, connectors and speaker position are placed perfectly to give hard case a sense of unity with phone. The ECO|case by Incipio is our Earth First approach, constructed using environmentally friendly materials. The case is a simple yet stylish single piece design which protects the iPhone 3G while maintaining a slim profile. The ECO case is Incipios Earth First approach, constructed using environmentally friendly materials. The case is a simple yet stylish single piece design which protects the iPhone 3G while maintaining a slim profile. The soft interior lining cleans and protects the screen. Made using organic, environmentally friendly materials. - 100% Brand new faceplate case is molded to a perfect-fit for your Phone. - Smart, Fashionable design with total access to all functions and buttons without removing your Phone from the hard case. Keep your iPhone safe, under wraps, but close at hand. Elan Holster carries your iPhone snug in an embossed black leather shell with a no-scratch lining. Genuine leather with soft microfiber lining and clear screen protector to guard against scratches. Removable two-way clip for bag, belt or briefcase. Removable flipcover reverses to work as a built-in stand. Includes premium cleaning cloth and screen protector for proper care of your iPhone.